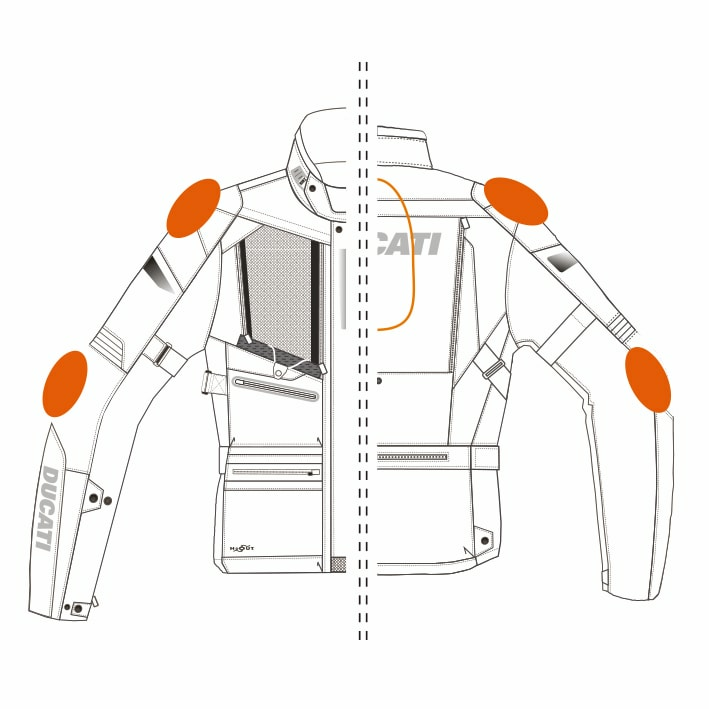 The Tour C3 jacket for sport touring is designed by Aldo Drudi and made in collaboration with Spidi. 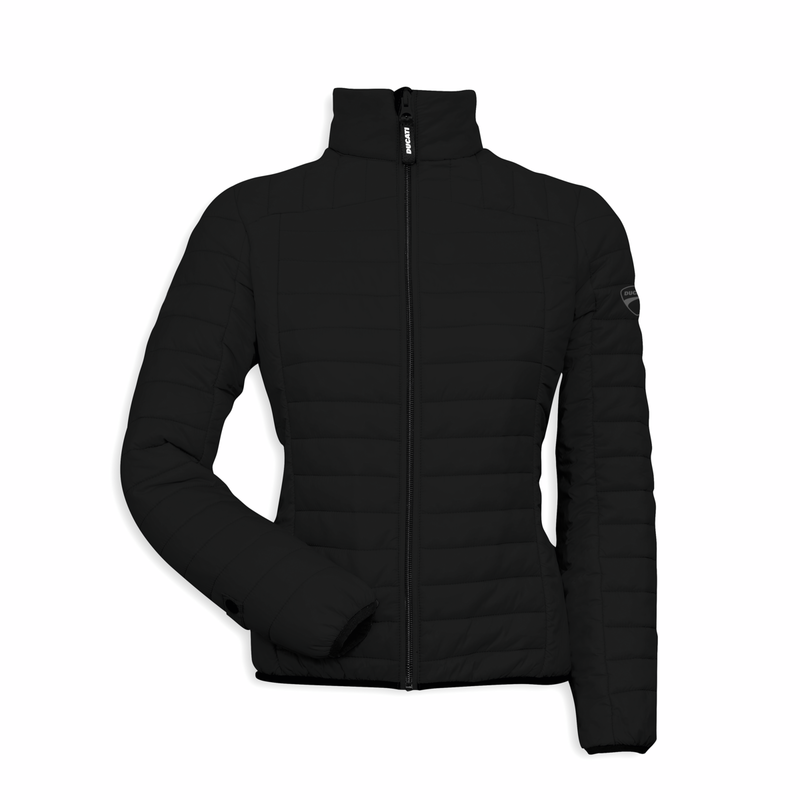 Equipped with CE certified shoulder and elbow protectors in accordance with the latest European standards, the jacket’s outer layer is a mix of polyester fabrics of varying weights and an internal thermal lining that can be removed and worn like a casual down jacket. 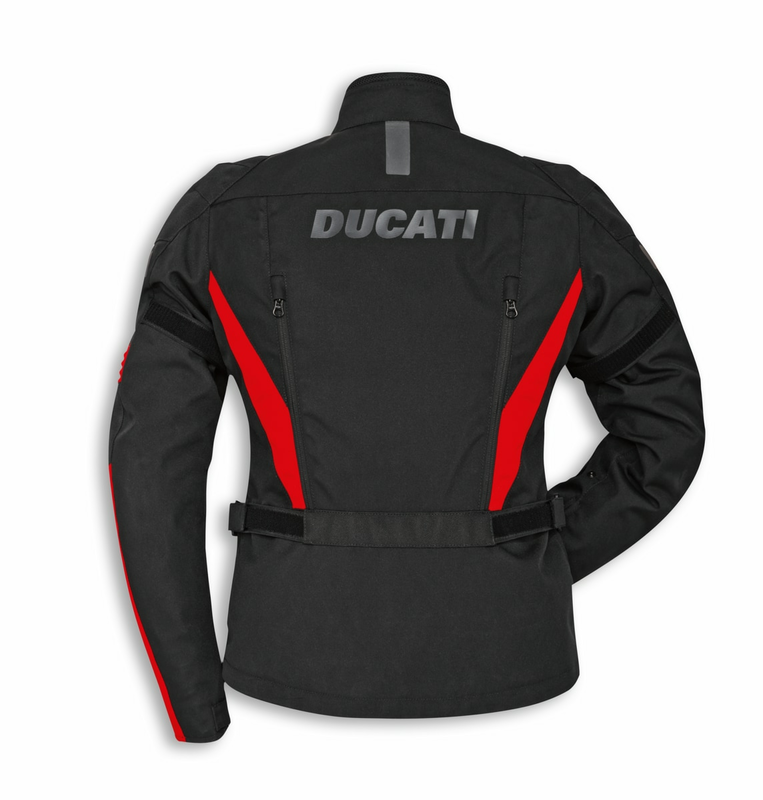 The external layer has an impermeable, breathable, and wind-resistant H2Out® membrane. 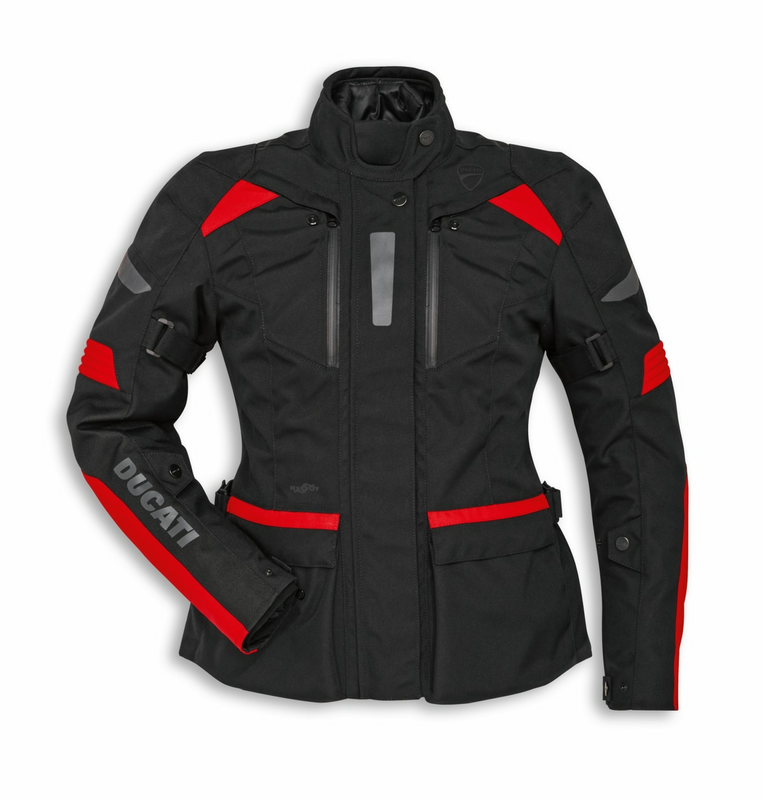 Designed to be worn with Tour C3 pants, the jacket is available in a men’s cut in black/red and high-visibility yellow/black, and for women in black/red.